Saturday against the Granite City Renegades the flashbacks to 2012 continued. However, unlike 2012, the Pioneers have a new offensive coordinator and so, understandably, it took some time to get in the groove. 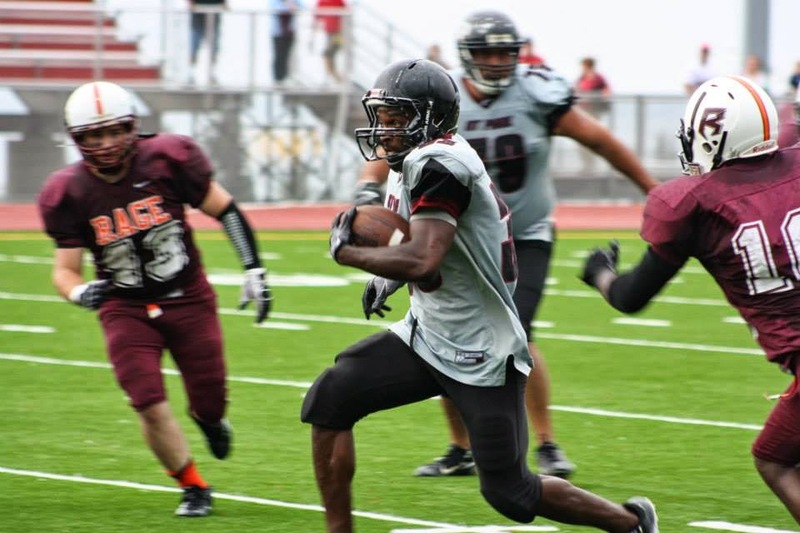 Once quarterback Cleveland McCoy and running back Isaac Odim in particular got their swagger, the Pioneers started scoring in bunches… even more than in the first game of the renowned 2012 season when they won the National Championship. That day, May 5, 2012, against the Minnesota Sting in St. Paul in the rain they scored 46. Saturday against the Granite City Renegades, again in the rain, they scored 48. There was no shut out like 2012 though. Renegades quarterback Jermaine Holmes and running back Derek Alexander had much to do with that. But they were the only players able to gain significant yards against the stout Pioneer defense. The final score: 48-6, Pioneers. The Pioneers’ first scores came on two field goals by kicker Jay Harding, who was named special teams player of the game. St. Paul scored its first touchdown of 2014 when McCoy found Justin Miles in the left corner of the end zone. Jay Harding hit two field goals. The Renegades mounted a threat of their own, scoring their only points of the game when Andrew Rousslange caught a slant pass from Holmes and for the score. A two-point conversion attempt failed and the Renegades would be done scoring for the night. The Pioneers came right back when McCoy threw a long pass to new Pioneer Damien Lolar that led to a short Odim touchdown run, making the score 20-6 at halftime. McCoy got in on the scoring action as well when he snuck in the end zone to start the third quarter. McCoy was offensive player of the game. Andy Folz, left, Cleveland McCoy and Isaac Odim. Odim and returning star running back Riza Mahmoud will keep opposing defenses guessing all season. They did just that on Saturday, each running for a touchdown in the second half. Linebacker Bill Quistorff closes in. To cap the victory, receiver Damien Lolar caught his first touchdown as a Pioneer from quarterback Bryan Trulen late in the fourth quarter. Safety Jake Lindsey snared an interception late, sealing the game. When asked how he anticipated the pass by Holmes, Lindsey said after the game that his teammates made it easy. This Saturday, the Pioneers travel to Iowa to play the Des Moines Blaze. Their next home game at Concordia is Saturday, May 10, at 5pm against the Lake Superior Rage. The St. Paul Pioneers opened the 2014 season with a 48-6 victory over the Granite City Renegades on a cold, wet April evening at SeaFoam Stadium. Special Teams: K Jay Harding. A more detailed game story will be posted soon. The St. Paul Pioneers are pleased to add Eric Baumgartner and John Ostertag to our volunteer Board of Directors. Both will represent players' perspective on the board, as both are veterans of the Pioneers and of amateur football. Baumgartner is starting his third season with the Pioneers. The tight end played in college for the University of Northwestern - St. Paul, where he graduated in 2012. He now serves at a volunteer coach for his alma mater. Professionally, Baumgartner works in accounting at Land O'Lakes. Outside of work and football, he tutors youngsters at Urban Ventures in Minneapolis. Ostertag joined the Pioneers last season, after playing previously for the Minnesota Spartans and the Minnesota Dragons. A kicker and punter, Ostertag played college ball at Gustavus Adolphus College in St. Peter, Minn., where in 2007 he was the most accurate field goal kicker in NCAA football. Both men say they are excited to serve on the Pioneers board and hope to increase the team's presence and visibility in the community. 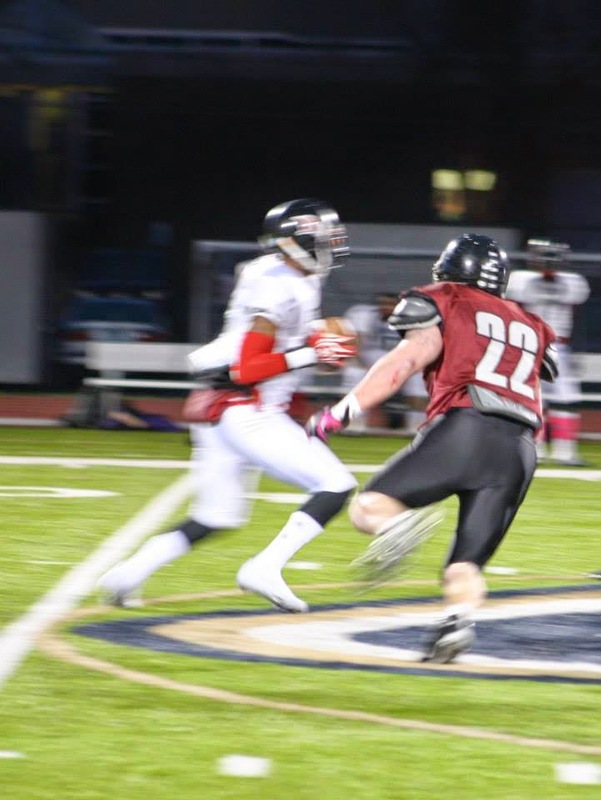 Please join the St. Paul Pioneers on Saturday at 7 p.m. at Sea Foam Stadium as they host the Granite City Renegades. 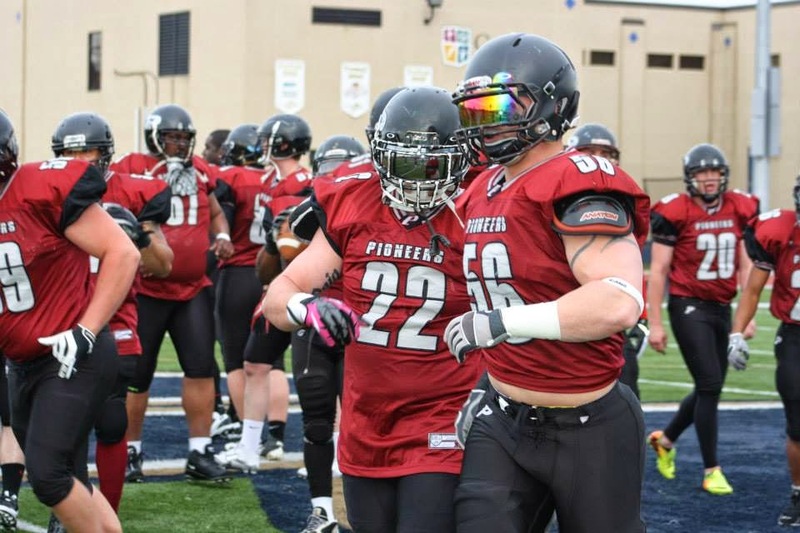 The Pioneers have won four consecutive NEFL championships and two national championships since 2009. 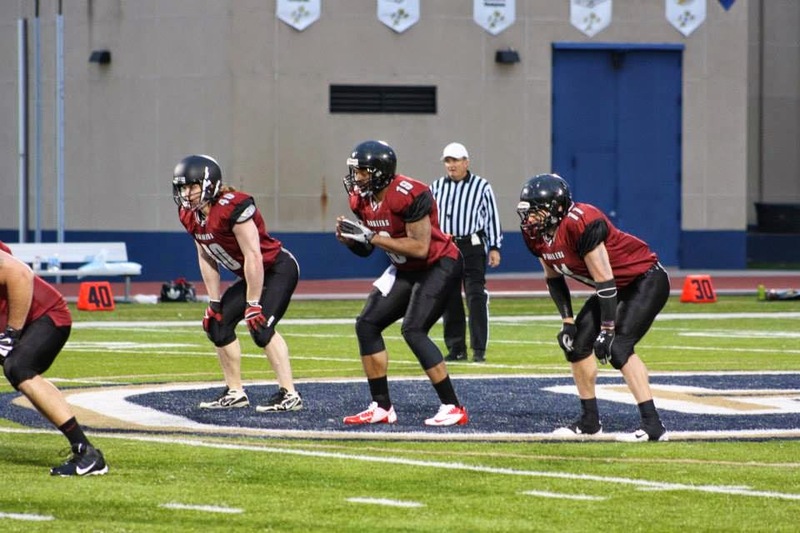 The Renegades were a playoff team last year in the Midwest Premier Football League. This will be the first meeting between the two teams. Both squads are champing at the bit to get their 2014 season started. This game will also mark the Pioneers debut of a new food vendor - Gastrotruck. Tickets are $10. Children 12 and under are admitted free. Here’s a prediction: 2014 is sure to be a special season. How special? St. Paul Pioneers’ coaches, players and staff already are having flashbacks to 2012. The Pioneers’ dominant performance and undefeated record that year did not happen by accident. Success came due to hard work, determination and trust in each other. Hard work might have the same effect this season. Still, there are no guarantees. After all, the Pioneers had high hopes for 2013 too, after winning the USA Bowl National Championship in Daytona Beach, Fla., in January 2013 against the North Texas Longhorns. However, injuries, a late winter and limited practices helped the Pioneers get off to a shaky start, losing the first three games. Injuries, including to former quarterback Michael Spriggs, led to a big change of offense. 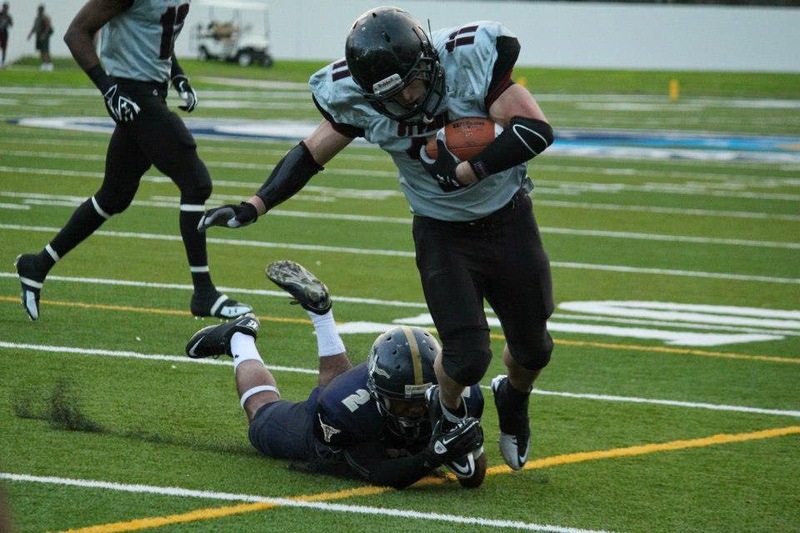 On May 18, against the Eau Claire Crush, Cleveland McCoy started his first game. McCoy’s opening act was a success; the game was a blowout, the Pioneers winning 47-8. How did McCoy step so seamlessly into the lineup? How did he bring the team back together and start playing Pioneers football again? 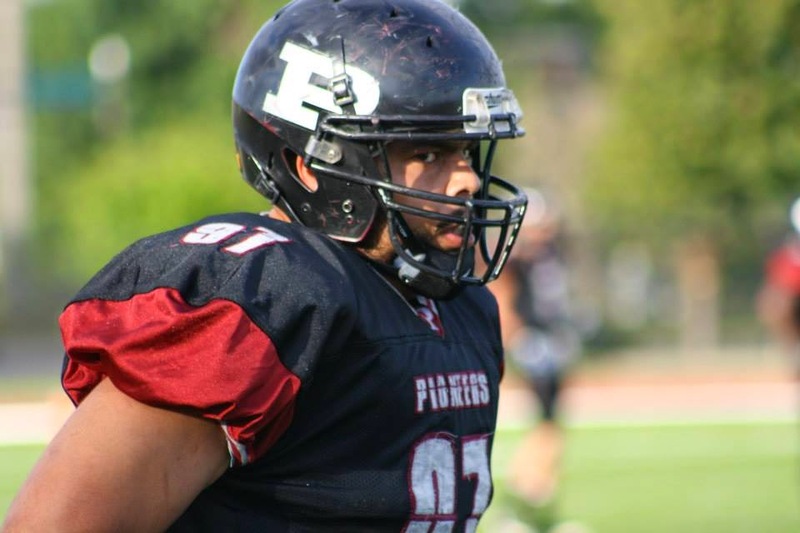 After all, by the time the Pioneers took the field that Saturday, the team had already lost two of its top defensive lineman, Garrett Johnson and Cliff Gordy. They would later lose Spriggs, who helped lead them to that National Championship. Indeed, he showed everyone what he’s capable of last season. The Pioneers lost just once after he became the starter – to the rival Chippewa Valley Predators in Eau Claire, Wisconsin, on June 8, 14-6. The team turned what could have been a disappointing season into victory, peaking at the right time and sweeping through the playoffs. 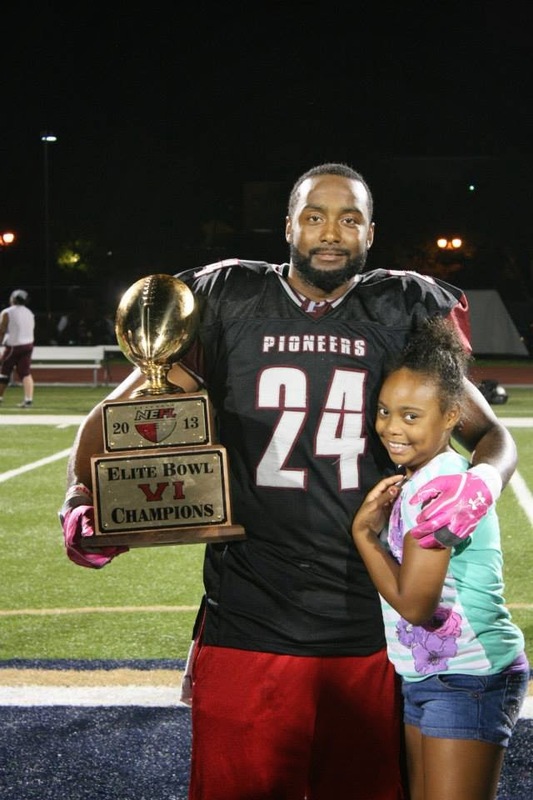 The Pioneers won fourth consecutive NEFL title in St. Paul against the Lake Superior Rage. Anyone watching in 2014 can see that the energy, passion and excitement from 2012 are back. The team’s recent minicamp could best be described as a spirited, physical practice. Still, nobody’s giving anybody anything, according to corner Bobby Wright. While Wright also said he has the same feeling he had in 2012, it will take hard work to repeat that feat. So far, so good, he said. Guys have been working out together for months to get ready. A huge test awaits, against the Des Moines Blaze on May 3. The Pioneers lost to Des Moines by four points last year. Wright said a victory against the Blaze would put the Pioneers back on the National map. With hard work and lots of practice, the Pioneers can definitely make Nationals, he said. 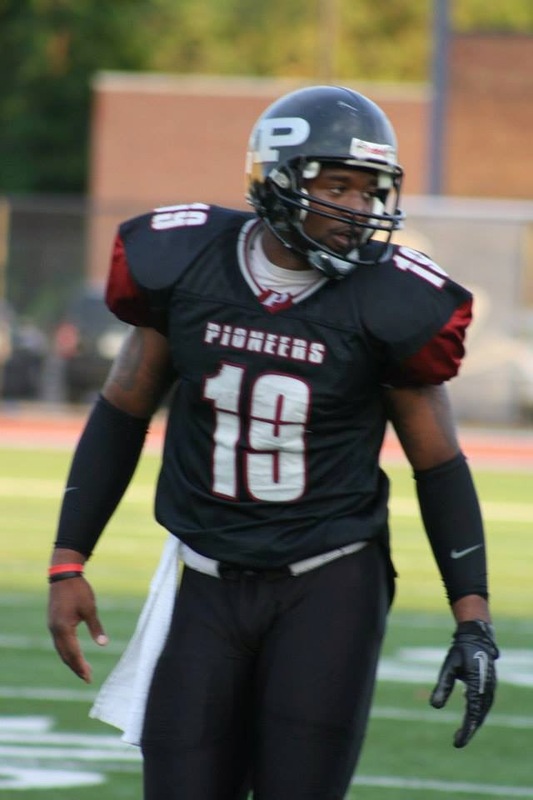 According to defensive coordinator Kahn Powell, the Pioneers’ talent is as good as it has ever been defensively. Ultimately, unity is the key, according to Powell. “It’s going to take unity to have the kind of team we had in 2012. That was a unified team. It’s going to [take] a lot of hard work to get back to that point,” he said. Jake Muellner return to harass opposing quarterbacks. They are joined by impressive newcomers Devin Waters, Kirk Eggleston and Weston Gadient. Powell also says the linebackers are stepping up their game as well. John Robinson is back after sustaining a shoulder injury late in the season against the Wauwatosa Spartans in Milwaukee. Billy Quistorff and Phil Breidall are returning for the Pioneers as well. Veterans Corey Brenner and Tierre Thompson have had huge games in the past. Powell said he also likes newcomer Shaye Thomas from Southwest Minnesota State. Not to be overshadowed, the offense will have a lot to say about whether the team can match 2012. 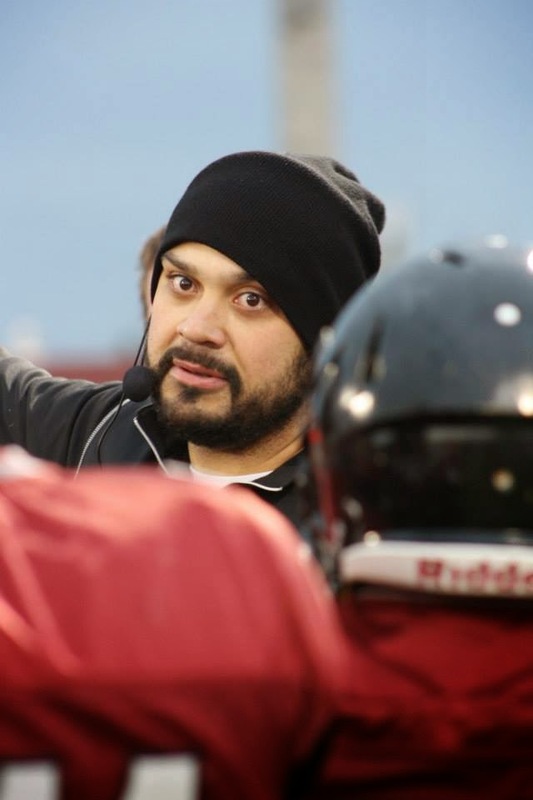 The offense has a new coordinator, but he is no stranger to Pioneers football. 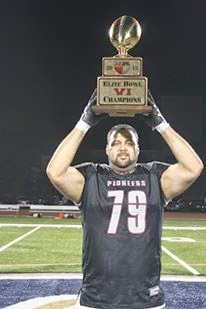 Anthony Minus won a National Championship as a player with the Pioneers in 2009. The former high school head coach and college assistant will be aided by another former Pioneer, Bryan Wrich, who has won Championships with the Minnesota Sting the past two seasons. McNutt and Andy Folz give the Pioneers an enviable roster of backs. Those backs are hoping to pass through holes made by a strong offensive line. C.J. Sanderson, Zac Thompson, Thomas Broussard, David Camacho and Cory Huggar return to the line in 2014, joined by newcomers Scott Schmidt, Chris McGregor and Alex Christen have made a good impression in pre-season practices. Team stalwart Jacob Husnik begins the season on injured reserve. McCoy will have plenty of chances to showcase his arm strength as the Pioneers boast a deep receiving corps starting with returning speedster Delane Woods and dependable Justin Miles. 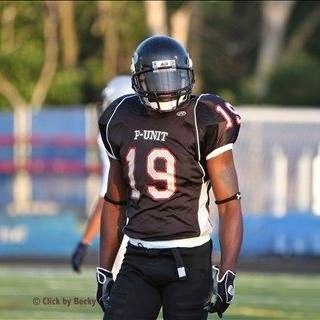 Damien Lolar has also come to the Pioneers from the Minnesota Sting and Donte Pettis, who did just about everything for the Predators last year, rejoins the Pioneers as well. 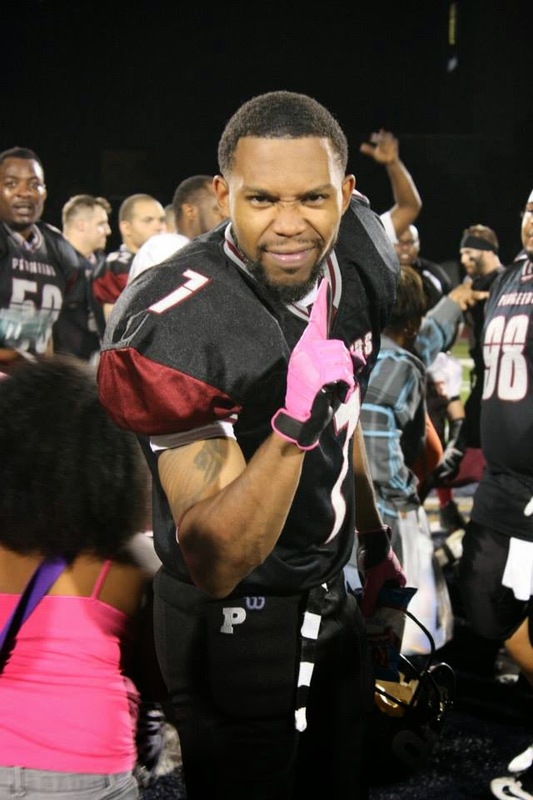 Pettis was also on the 2009 National Championship team. McCoy had a great deal of good things to say about all of his receivers. He said once Lolar grasps the Pioneers’ offense, he’ll be great. He also likes Pettis’ big play ability. Everyone knows the connection McCoy and Woods have. McCoy says once they learn the new offense and play a few games, they’ll be great. Come join the excitement this season as the Pioneers make another run at a National Championship! 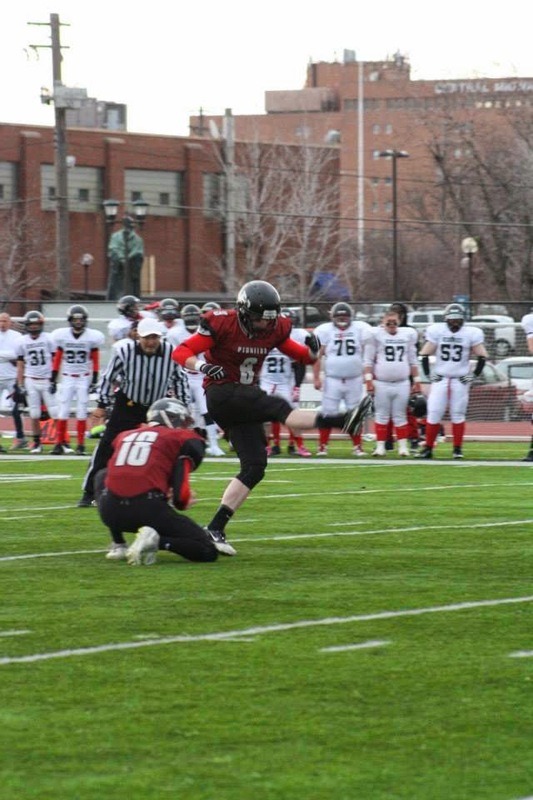 The Pioneers’ first game is April 26 at SeaFoam Stadium against the Granite City Renegades. Hope to see you there! It was with heavy hearts that the St. Paul Pioneers learned at the end of last season that Brian Schulz, a former team general manager and owner, would no longer be the public address announcer for Pioneers games. Simply put, Brian was one of the best. EVER. His knowledge of the game, his ability to engage fans and his pitch-perfect reading of those moments of drama and excitement are second to none. Brian will be sorely missed. But, as on the field, when one player leaves, the team has to fill that roster spot. So it is with PA announcers. For the 2014 season, we are pleased to introduce our fans to the new VOICE of the PIONEERS. Joshua is a North Minneapolis resident who has been involved in sports on many levels his entire life. His football career started as a lineman for the Brooklyn Center youth team. From there he played at Olson Middle School and Minneapolis Patrick Henry until finishing his career in 2006 at The University of St. Thomas. After hanging up his cleats, he could not give up his love for the sport. So, when an opportunity arose at Minneapolis Patrick Henry to announce various sports he jumped at the chance. For the past four years his voice has been heard over the loudspeakers at all Minneapolis Patrick Henry sporting events. Now, he is excited to be the Voice of your St. Paul Pioneers. Welcome to the family Joshua! We are excited to help you write the next chapter.